I love how she mixes both her new progressiveness with the continued traditions of the pack and the Alpha traditions still that keep the pack as werewolves. She’s still the Alpha, she still eats first, there are still ways and means to speak to the Alpha. Not that you can’t disagree with her – but there’s a means: she combines the two. Both an Alpha you can disagree with - but still an Alpha, an Alpha who must be respected. But in the end we get that same ruthlessness the Pack needs. She isn’t a better Alpha just because she’s fluffy and nice and kind – but because she is compassionate and smart and ruthless and is willing to use even Malcolm. I like that –it would have been fluffy and nice to have Elena rule over a pack of happy hippy werewolves. But Elena ruling other a pack of smart, useful, skilled werewolves who are still dangerous even if they’re not vicious? That’s far better. The addition of several female characters bodes well for the werewolf story as well. 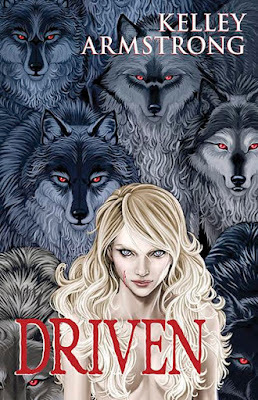 I’ve always opposed the whole “no female werewolves but one” trope that this series had (and so many others as well – I’m really sick of woo-woo being male only except One Chosen Woman). If this series does go further I have some hope these will be developed more. Alas, there are still no POC in this book (this is a really really White werewolf pack) and no LGBT people. This is an ongoing problem not just with the werewolf stories but with the Otherworld series as a whole – it’s a vast world with a huge cast of characters and very very very few minorities. So, can we keep this going? Ok, there’s still room for improvement, definitely on the equality and diversity level, but I have wanted this book for a long time and now it’s done I want the next one. This book just tells me how much more there is in the Pack, how much more Elena has to tell, how much more to explore there is here. When some series ended, even series I loved, I was sad but I also accepted it was time. It was better the series ended before it ran out of ideas and run down. This is not one of those series - there must be more to come.